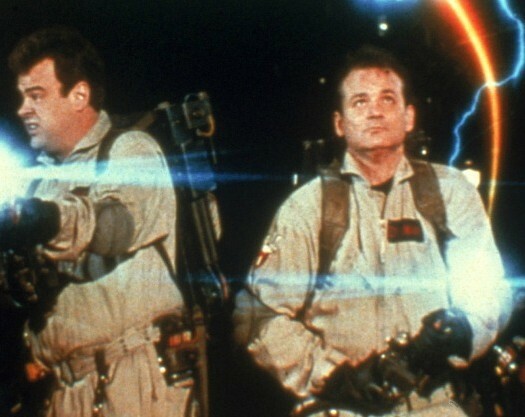 The new "Ghostbusters" film may lose as much as $70 million for Sony when all is said in done. Possibly much more. If that comes as a surprise to you, don’t feel ashamed. You’ve probably been reading press accounts about the film for the past few weeks. Media bias thrives in both news and entertainment coverage. The reboot became a cause celebre with journalists. They saw it as a chance for a female-led franchise to reverse decades of Hollywood sexism. They ignored past successes like “The Hunger Games” and “Alien” in their quest for equality. And they weren’t going to let the truth stand in the way. As of Aug. 7, Ghostbusters had earned just under $180 million at the global box office, including $117 million domestic. The film still hasn’t opened in a few markets, including France, Japan and Mexico, but box-office experts say it will have trouble getting to $225 million despite a hefty net production budget of $144 million plus a big marketing spend. The studio has said break-even would be $300 million. The $70 million figure won’t shock anyone following the film’s box office trajectory. Math isn’t tough, despite what a toy once told us. The news still deflates a press narrative that has been building ever since the film project began. “Ghostbusters” is a mediocre attempt to bring a dormant brand back to life. It’s far better at illuminating the entrenched media bias in entertainment reporting. The press originally insisted that anyone sour on the reboot, or the notion of swapping the four characters’ gender, were haters. Sexists. RELATED: Is Gender Card ‘Ghostbusters’ Only Hope? Then, some reviewers bent over backward to applaud the film, injecting overt bias into their coverage. Take that, Neanderthal males, they cried from their laptop computers. Variety published an exclusive saying the film’s toy sales were “exceeding expectations,” according to Mattel. Did the story have any raw numbers? Did it compare “Ghostbusters” toy sales to previous movie-related merchandise? Did the reporter cast an ounce of skepticism over the claims? The story did include this press release style quote from the toy company, complete with an exclamation mark. Other media outlets, eager to prop up the film, shared the story with alacrity. Meanwhile, Target started marking down “Ghostbusters” toys before the film even opened. The modest box office returns didn’t dissuade reporters from sharing the news that “Ghostbusters” sequels were on the way. Sony said so. It must be true. Never mind that nothing was officially greenlit, or that it made no sense to approve sequels when the current box office returns were murky at best. Reporters uncritically shared Sony spin. All to boost the notion that the film was a hit. Now, THR is reporting some animated “Ghostbusters” spin-offs are in the works, but no news of an official sequel. The “Ghostbusters” brand may be back from the grave, but the film leading the way will cost Sony. Plenty. None of this means that Hollywood sexism isn’t real. Just watch the eye-opening documentary “That Gal Who Was in That Thing” and see what actresses face in the industry. It won’t be fixed by a single film or franchise featuring powerful actresses. Studios should consider future movies led by women, assuming the scripts are solid and the talent is first-rate. As should be the case with any movie project. What’s undeniably real, too, is entertainment media bias. It breaks my heart to say this, but Ghostbusters is pretty much a bomb. It’s been difficult to watch Ghostbusters flail. Although reviewers found themselves divided as to the film’s quality, many still came down on its side—and it’s worrisome to think that Hollywood might take its performance as an omen against female-led movies more generally, particularly action franchises.